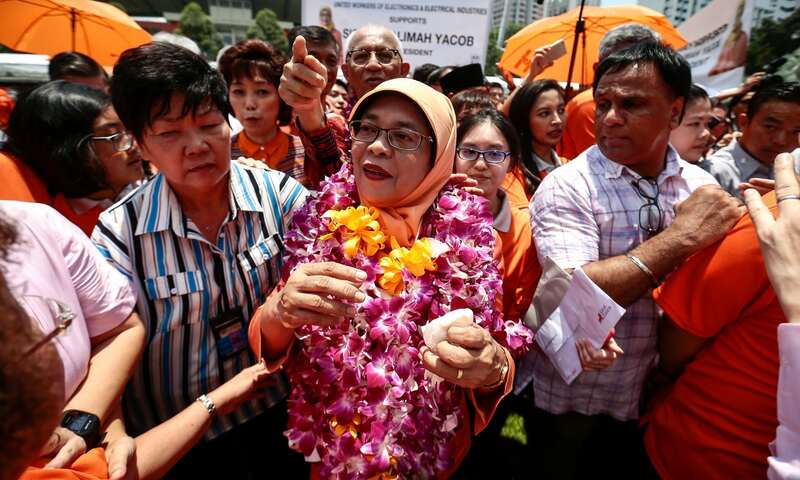 Halimah Yacob, 63, has become Singapore’s first female president. As a former speaker of parliament from the Muslim Malay community, she was a member of the People’s Action Party for two decades before she decided to run for president and is now the first ethnic Malay to win the presidency in decades. Yacob had two rivals for the presidency: Salleh Marican and Farid Khan. However, authorities deemed them ineligible to run because of a constitutional rule that required candidates from the private sector to have led a company with shareholder equity of at least $372 million, according to Al Jazeera. As a result, there was no official election. “I am a president for everyone, regardless of race, language, religion or creed,” she said.